Your HVAC system is an overlooked pathway that nasty pests can use to enter and spread throughout your home. Some of these critters remain hidden inside the system and can damage sensitive components. An accumulation of dead pests, droppings, and larvae in your system can trigger allergies and lower your home's air quality. You can protect your home from an infestation by pest-proofing your HVAC system. Be sure to follow the helpful tips below. Tears and gaps in your home's air ducts give arachnids and insects easy access to your home. Call in a reputable HVAC contractor to inspect your ductwork for leaks and provide the appropriate sealing options to keep pests out. Small rodents and insects can utilize air vents that lead into your home. Using mesh screens to cover such vents will go a long way to keeping pests at bay. Bugs will be attracted to flowers, grass, and other types of vegetation around the outdoor HVAC unit. Discourage entry of bees, wasps, and other pests into your HVAC system by keeping vegetation at least two feet away from your unit on all sides. Ensure your HVAC system is checked by a professional regularly. 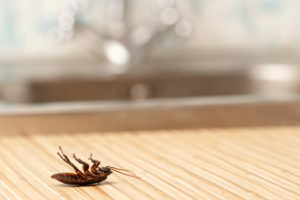 He or she will spot any warning signs of the presence of critters before they cause costly damage and provide solutions that prevent them from infiltrating your system. As you may have noticed, bug-proofing your HVAC system doesn't require expensive investments. A few maintenance tasks and regular professional inspections will help you avoid costly bug removal services. For more advice on pest-proofing your HVAC system, contact us at Hartman Brothers Heating & Air Conditioning. We provide dependable HVAC repair and maintenance services to homeowners in the Fort Wayne area.